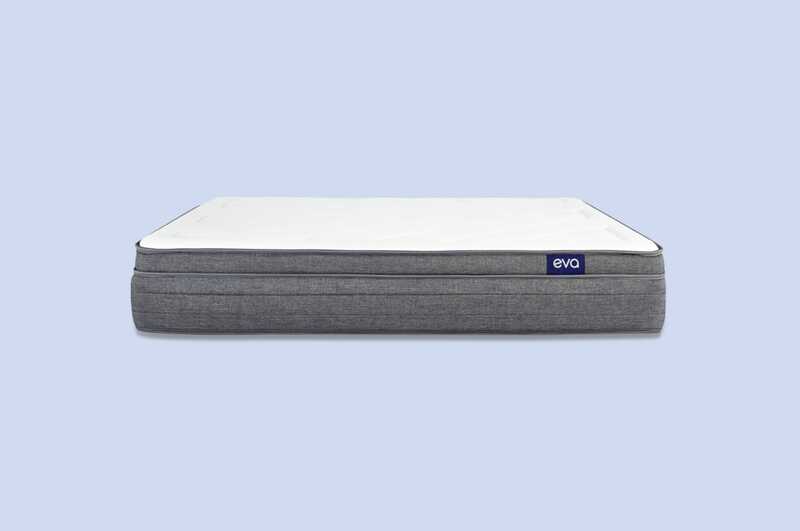 Eva is perfect for sleepers ready to upgrade from a spring mattress. Its hybrid design combines supportive springs with latex, gel, and high-density foams. Thicker than competitors, our review found that this mattress offers extra cushion and pressure relief. It's ideal for people who want to the contour of foam, but enjoy the bounce of coil designs. The unique micro-springs are designed to relieve pressure and provide airflow—without transferring movement. Rest easy knowing Eva also donates one mattress for every ten sold. This review is all about helping you decide if an Eva bed is the right fit. Below, you'll find information from real customers about the feel, firmness, sleep quality, materials, and more. For every review, we do our best to highlight a variety of customer opinions and use unbiased data. At the end, you'll have a real feel for the mattress and know if it's the best choice for you. How does the Eva mattress feel to sleep on? 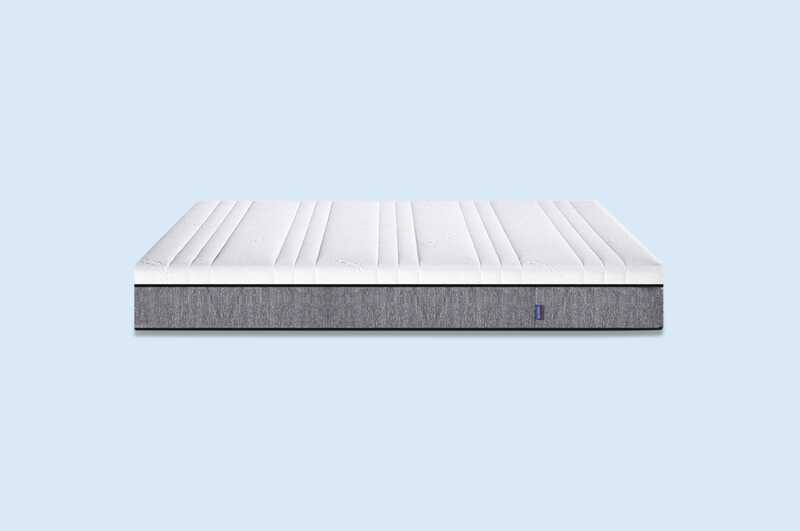 Featuring five layers of foam and springs, the Eva mattress is soft yet supportive. On a firmness rating scale of 1 to 10, the mattress falls at a 7-8. If you're used to a soft or medium mattress, the Eva will feel firmer. For reference, the average rating of a medium mattress is 6 out of 10. Eva's medium-firm feel is great for back and side sleepers. Back sleepers need a mattress that supports the lower back and keeps hips, spine, and shoulders aligned. The memory foam layer slowly contours to any shape without sinking too deep. For side sleepers, the best support comes from the layer of micro-springs. These coils react individually to pressure and movement, picking up where the memory foam leaves off. While some stomach sleepers enjoy the feel of Eva, others find it too firm. This position usually requires a soft top that allows sensitive parts to sink. For this reason, small and average stomach sleepers may prefer a softer mattress. However, this may be the perfect fit for larger stomach sleepers. No matter your preferred position, the Eva can support up to 400 kilograms. "Excellent value for money, comfortable, and a good night's sleep. Fantastic service with super fast delivery. Highly recommended." — Mark K.
If you struggle to get out of bed in the morning, you'll love the edge support of this mattress. There are robust springs placed along the side pockets to prevent you from falling off or rolling to the edge. Not only do these springs offer support during sleep, they also prevent deep sinkage when sitting on the edge. Most foam mattresses lack this support, but the coils launch Eva above the competition. As we mentioned earlier, the Eva mattress has more motion transfer than all-foam mattresses. The springs are designed to react and support movement. Although this is good for support, it does not allow for zero partner disturbance. One customer — a life-long light sleeper — says she never wakes up since using the Eva. If you're coming from an all-foam mattress, you'll notice movement. If you're transitioning from a spring mattress, you'll feel significantly less. "We suffer from back issues, and with this mattress all is gone.I'm sleeping longer, and the kids don't wake me when they jump into our bed. It's like being in a cushioned bubble." — James P.
What is the Eva mattress made of? Despite similar claims, not all foam mattresses are equal. There are differences in foam and materials that affect durability, comfort, and support. To see how the Eva stacks up, look through the key categories below. Made of springs and foam, the Eva is unlike any other foam mattress. It bridges the gap between traditional spring and modern foam designs for a hybrid feel. The first layer is a gel-infused memory foam that contours to the body. The gel helps keep you cool by distributing heat out and away from the foam. Next comes a latex layer designed with open-cells. This material is naturally anti-microbial and gives the mattress bounce. Underneath the latex is the layer of micro-springs. These mini coils are individually wrapped in fabric to reduce motion transfer. They react as separate units to relieve pressure and contour to the body's movements. Following the springs is a layer of high-density support foam. This is where the Eva's main support lies. The dense foam is made to support the top layers, absorb extra weight, and redistribute pressure evenly. Finally, a layer of five zone pocket springs give support while minimising movement. These reduce vibrations from tossing and turning, so partners don't wake each other up. Also surrounding the border are several large springs for increased edge support. Protecting the foam and spring layers is a white and grey mattress cover. The top is a stretchy white fabric that allows air to flow between you and the layers. The side panels are made from a sturdier polyester blend to prevent tears when moving and rotating the mattress. Unpacking and turning the Eva mattress is often a team effort. The mattress weighs in at 55 kilograms—significantly higher than the market average. This is due to the extra comfort and support layers, and the wire springs. To making moving the mattress easier, we recommend positioning it on the base and then removing the compressed packaging. While you don't have to flip the Eva, it's best to rotate it every three to six months. Additional layers make this mattress thicker than most. Measuring in at 31 centimetres, the Eva is ideal for people who want more support and cushion. The layers of foam, springs, and latex have specific purposes. When combined, they play off of each other to create custom pressure relief, support, and bounce you can't find in another mattress. It can be placed on any standard bed frame or firm foundation. How much does a Eva mattress cost? Since the Eva mattress uses a blend of foam and spring layers, it is less expensive than all-foam designs. High-quality memory foam and spring models can reach $3000. For a hybrid, it's one of the best value mattresses available. The company is just starting out, and the low price point is likely meant to attract buyers. However, the company is receiving dozens of five-star reviews. Overall, the Eva mattress is a less expensive option that combines the benefits of foam and springs. It ships free across Australia, and typically arrives within 1-8 days. After receiving the mattress compressed in a box, you can unroll it and watch the foam expand. Within hours, the mattress is ready to rest on. To test the Eva, you can sleep on it for 120 days. This trial period is slightly longer than the industry average, as the company wants to ensure you have enough time to adjust. They also ask that you test the mattress for at least 30 days. If you don't like it after that point, they will give you a full refund and remove the mattress within a week. Since used mattresses cannot be resold, the company works with local charities to donate as many returned mattresses as possible. If you fall in love with the Eva mattress, you have a 12-year warranty to report any major malfunctions. 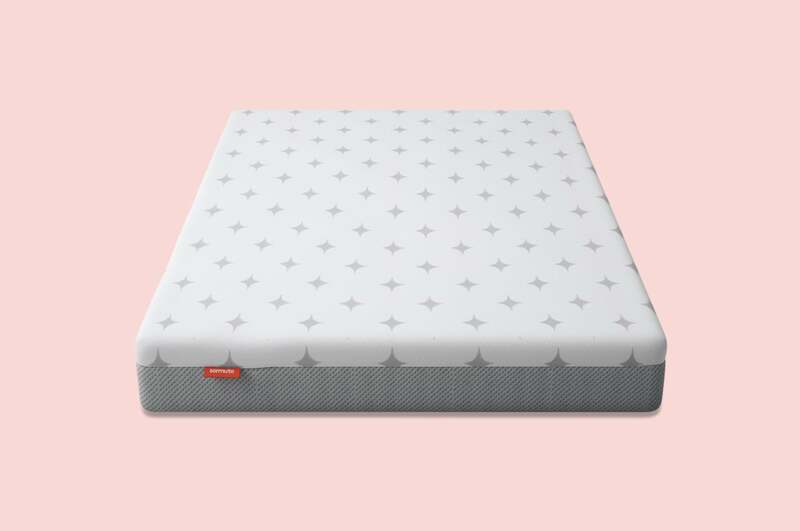 Who is the Eva mattress best for? It can be difficult to decide who a mattress is best for since customer reviews are subjective. That being said, patterns develop as we research reviews and expert opinions. For the Eva, we believe back and side sleepers moving from a spring mattress will be most satisfied. Its hybrid design introduces customers to foam without removing the key advantages of a spring design. The medium-firm feel will not be best for small stomach sleepers, but the company's trial period means anyone can test it out without risk.